It seems to be a season of extremes - very cold here in parts of central Canada and the US, and very hot in Australia. We need something that's 'just right' to inspire us this week and we've got it! Here's your Muse for this week, Marion Vagg! Thank you. I love the muse card this week. So lovely. 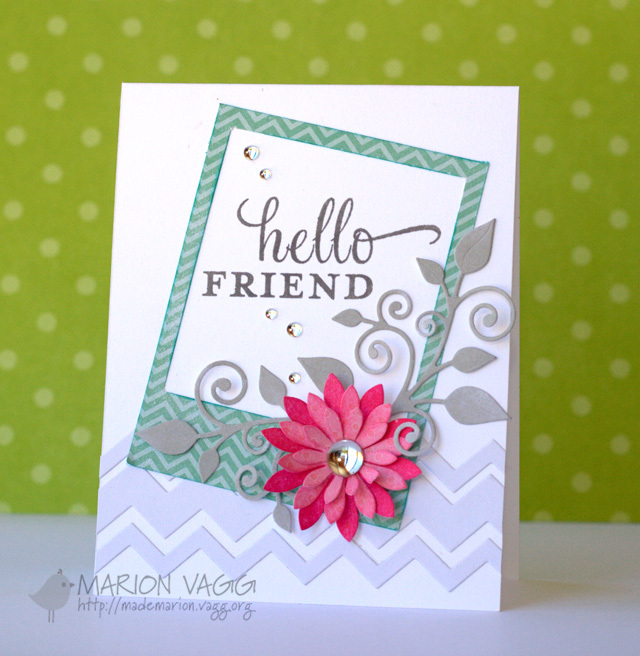 Marion, love your card! What gorgeous cards entered so far, can't wait to see them closer. Thanks for the chance to join in again this week.